The popularity of online streaming services has changed the nature of the entertainment industry. Now we can watch our favorite shows sitting in the comfort of our home on services like Amazon, Netflix, and Hulu. These platforms have a huge range of movies and series and can keep you glued for hours. But what if you want to save Amazon Prime video on your PC for enjoying it later? Turns out, there is a perfect solution for the movie and entertainment buffs to get their desired videos right on their PCs. Just give a try to Movavi Screen Recorder! Recently streaming services have grown in demand all over the world. The availability of fast speed internet has boosted the trend of using services like Amazon. Users have to pay to join the service and enjoy the endless range of entertainment options. But what if you want to watch the movies on your PC independently? You have to purchase each movie separately which becomes expensive and full of hassles. But now you can get rid of all such problems with Movavi Screen Recorder! You can take help of the tool to record streaming videos from Amazon and watch them offline. You can easily record live streams and play it on any device be it a PC, iOS or Android gadget. How to Save Amazon Prime Videos with Movavi Screen Recorder? Download the file from the Movavi website and follow the instructions to install it in your system. Navigate to your favorite Amazon video that you want to capture and then launch Movavi Screen Recorder. Now you have to place the capture frame over the area of the video display. You are allowed to click anywhere in the screen and select one of the present aspects included in the Capture Area section. To adjust the capture time settings tap on the alarm clock icon and define the duration of the recording- then press OK! You will see a preview window appearing on the screen. Now right click to choose the Save As option and set the format for the video to be recorded. Now click Save. You can now stream videos from Amazon and even have them stored on your PC. You have it for free and don’t even need to pay a penny for it! If you use Windows 7, you can capture your screen featuring webinars and favorite shows. You can even record a webcam chat with your friend. The software can also be used to edit and record live video and audio streams. It also captures desktop screen in full HD mode which can be used to create tutorials and video guides. You can use similar ways to grab videos from multiple platforms like YouTube, Hangout calls and videos from any website. Movavi is a reliable and professional video and audio capturing and editing software. You can create home-based projects or even develop professional presentations to woo your clients. You can add cool visual effects, custom sound effects, creative transitions’ and creative titles. 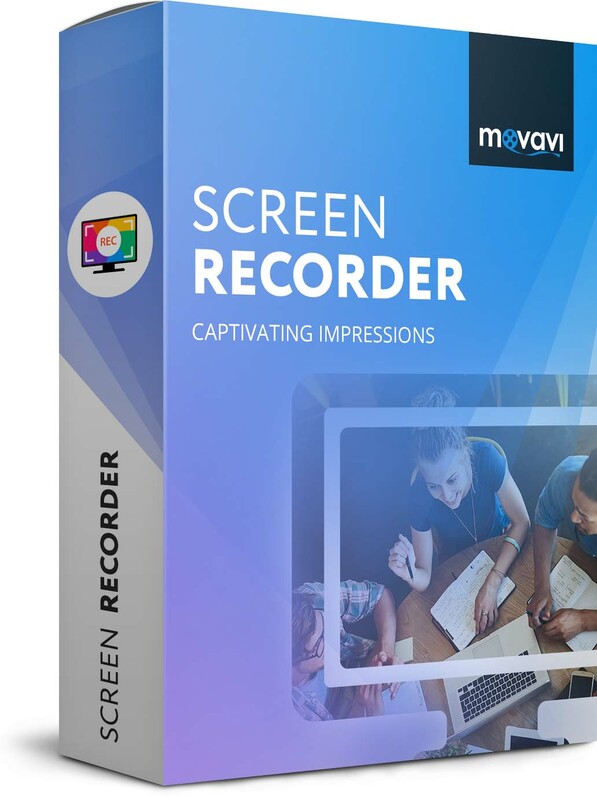 Movavi Screen Recorder can be downloaded for free and available for Windows, Mac, iOS, and Android and works seamlessly on all devices. It captures and edits your videos in lightning fast speed and it is suitable for beginners and experts alike for casual projects. You can use it for any audio or video capture and get full HD renderings capturing all details. And the best part is that it comes for free!